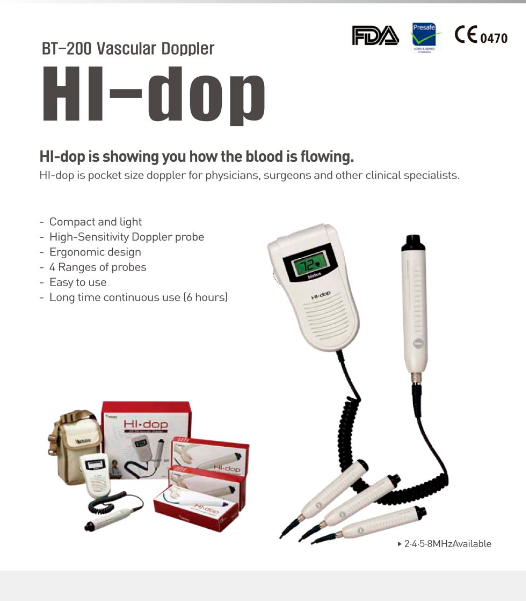 The HI-Dop pocket vascular doppler is an effective non-directional hand held doppler for non-invasive vascular assessment. The HI-Dop Vascular Doppler is intended primarily for assessing vascular disease. 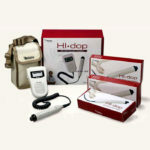 Standard probes are 4, 5, 8 MHz. 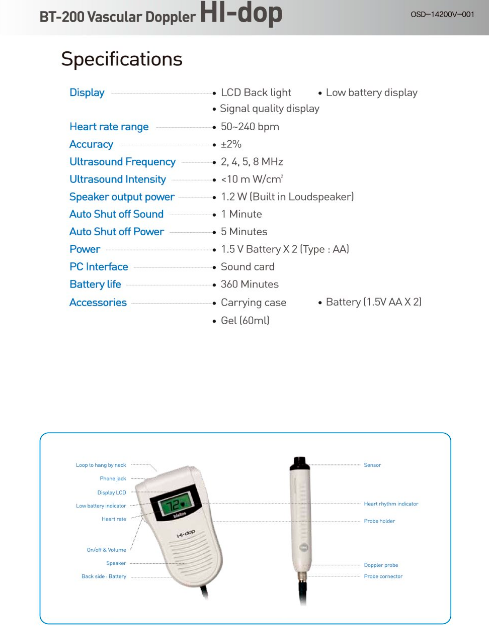 Applications for this Pocket Vascular Doppler include Ankle Brachial Pressure Index, Venous Flow Screening, Leg Ulcer Management, Segmental Pressure Studies, Blood Flow Wave Form Recording and Arterial Flow Screening. 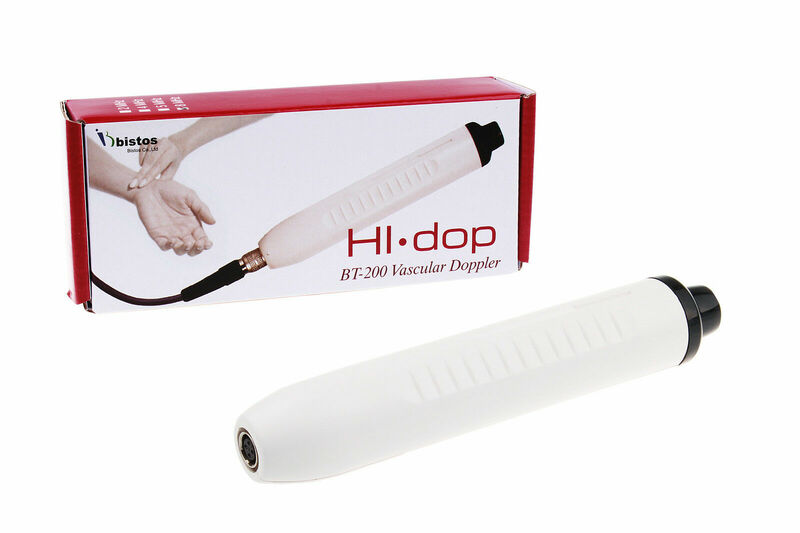 The HI-Dop vascular Doppler comes complete with ultrasound gel, soft carry case, manual and choice of probes.